An increasing number of children and adults are exposed to violence at every stage of school life. Schools are also potential targets of intruders. It is a problem that needs to be addressed if we want our children to learn in a safe environment and for school staff to feel supported to carry out their work to the best of their abilities. It's a problem that can be addressed, in part, with the help of technology. Mobile phones: is there a better way? Secondary schools in the UK have differing mobile phone policies towards their pupils. Some forbid them all together, other schools recognise the role that mobile phones can play in safety, allowing children to call for help in an emergency, and include pupils in automated text messages sent during an emergency. It's a dilemma, as the use of mobile phones in online bullying is well-documented. However, the need to stay connected to keep safe is increasingly viewed as important by safety experts. One alternative that schools might wish to consider is the introduction of mobile personal emergency response devices (mPERS). These are small and unobtrusive devices that can be mobile or positioned under a desk. In an emergency, the press of a button will instantly alert trained emergency response operators who can locate the source and provide the appropriate response. Most secondary schools in the UK have a CCTV system installed. Cameras are recommended located at the entrance gates, in the reception areas and areas where staff are often not present to oversee pupils' behaviour such as corridors and the playground. They can be useful for providing evidence of intruders or violent bullying behaviour, although their efficacy is limited as sound is often not recorded and images are frequently blurry. Some also feel that their presence is more useful after the incident rather than being an active preventative measure. Schools are required to have an alarm system which can be activated in the event of a fire. They are also required to have a Disaster Management Plan or similar which sets out exactly what the process is of alerting staff and pupils in the event of an emergency. Technology is used in these plans, which include automated alarms, generated text alerts that get sent to teachers, students and parents in the event of an emergency. Some schools use entry control technology in the form of swipe cards or biometric identity systems. Schools and college campuses in areas where knife crime is an issue often have metal detecting technology installed at the entrance. Other security features include panic buttons in classrooms which notify emergency responders and campus security. They sound an alarm and trigger a warning message to the school administration. One of the biggest issues emergency responders have is coping with the volume of phone calls and notifications that they are bombarded with during a major incident. In the USA, where school shootings are sadly common, software is being introduced that instantly notifies police of any major incidents on school grounds – by detecting an incident and sending video footage to the police who are then able to take prompt and appropriate action. Smart technology is also being developed that is capable of analysing patterns of pupil behaviour so that the software can alert security personnel if they detect unusual and suspicious levels of activity. Security cameras combined with smart data analytics represent a step forward in the move towards more effective school security. It is important to note that different schools have varying security needs. Rural schools in areas of low crime may see ways of monitoring social media as more relevant than methods of reducing or dealing with violence. 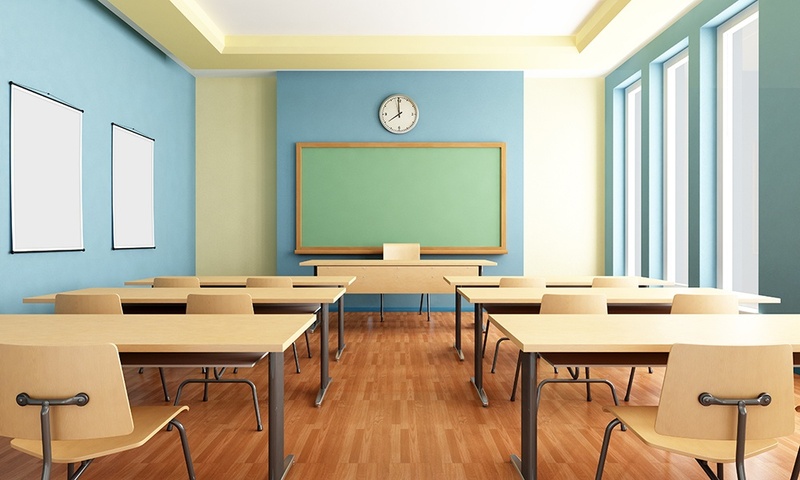 For safety technology in schools to have a positive impact, it is essential that solutions are properly implemented and integrated into existing systems and are 'future-proof' in terms of upgrades. Training for staff and support staff is vital as is the need to test the solutions in realistic scenarios. If you would like advice about how the latest security technology could improve safety in your school, contact ANT Telecom for more information.